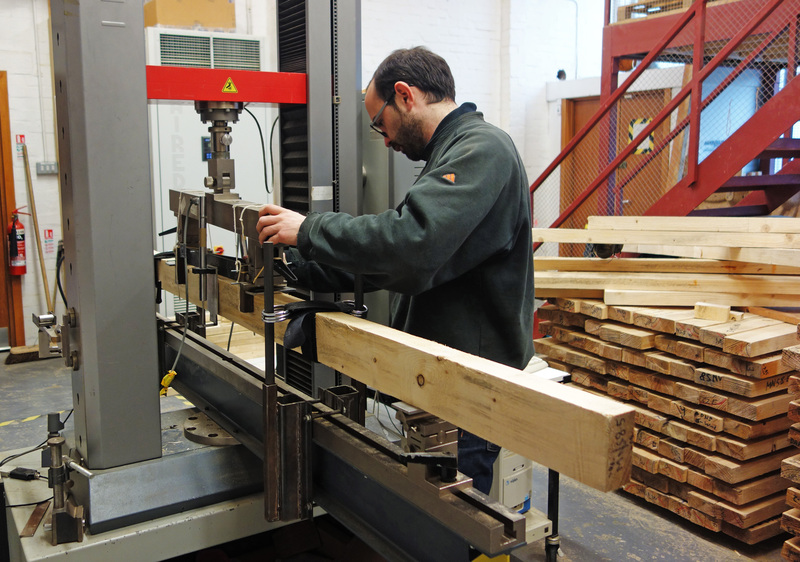 Forestry Commission has published a research note with a summary of the basic wood properties information that David Gil-Moreno obtained in his PhD project. You can download a free copy here. This work is thanks to the financial support of the Scottish Forestry Trust, Forestry Commission Scotland and Cyfoeth Naturiol Cymru (Natural Resources Wales) – to whom we are very grateful. We would also like to thank Andrew Price (Forest Research) for help finding suitable sample sites and organizing the necessary forest operations. Abstract “The softwood processing sector in Great Britain has been built around the use of a very small number of timber producing species – predominantly Sitka spruce. The recent increase in outbreaks of host-specific tree pests and diseases has led to an interest in diversification, through planting a wider range of tree species, to mitigate any risk to the softwood resource. However, there is a lack of evidence about how this diversification will impact on the future merchantability of timber. This Research Note investigates the structural timber properties of noble fir, Norway spruce, western red cedar and western hemlock grown in Great Britain and compares the results with published values for British-grown Sitka spruce. The study was carried out using timber from even-aged plantations growing in a range of latitudes representative of productive conifer forests. Twenty-seven trees per species were felled, processed into structural-sized battens, kiln dried and destructively tested in a laboratory according to current European standards. Note, as with all the grading work, yields are indicative, and actual results will vary depending on the quality of the material being graded. This work involved only about 1/4 of the amount required to develop formal grading settings – and while we have made every effort to make our sampling representative, it must be appreciated that it is relatively small.